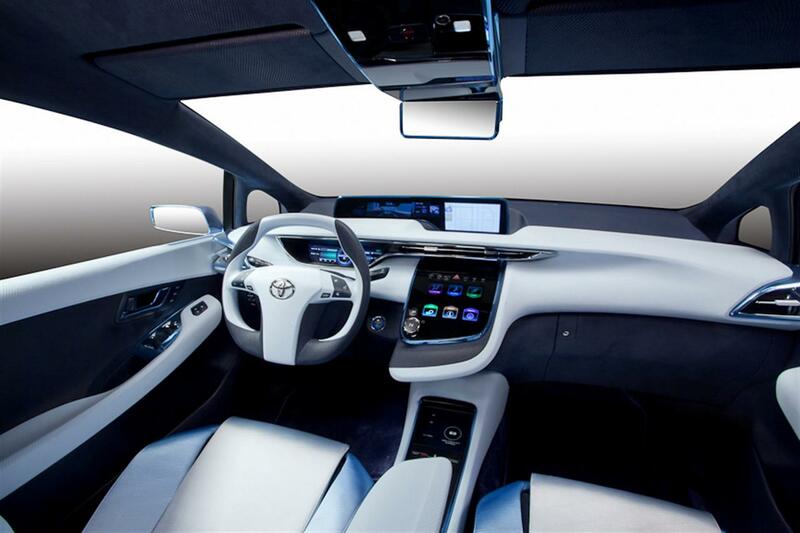 While Elon Musk and Tesla Motors believe in the electric-vehicle revolution, Honda and Toyota seem to see hydrogen cars as the future. 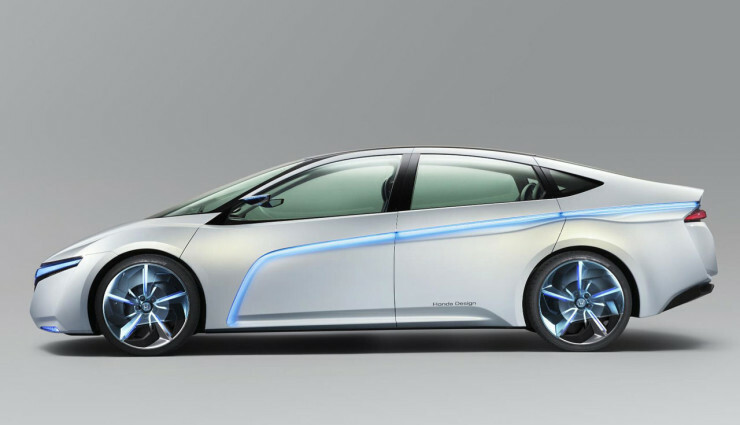 Honda unveiled an all-new fuel-cell concept, slated to go on sale by the end of March 2016, as the result of their 20 years spent on developing standalone fuel-cell vehicles. The car was built based on Honda’s FCX Clarity fuel-cell vehicle that Honda has been rolling out since 2008 and is claimed to be more efficient and capable of being packaged in a conventional car body with all the major parts of the fuel cell installed under the bonnet rather than between the seats as they were in the FCX Clarity. 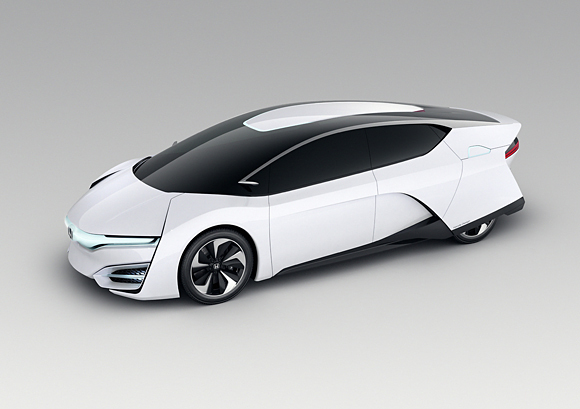 Although hydrogen fuel cells are not a new story, the Honda FCV 2015 successfully amazed people with its futuristic design. The hood is short and angled such that if flows with very nearly no kink into the steeply raked windshield and roof. The headlight/pseudo-grille combination is thin and seemingly entirely backlit. It sits between a pair of chiseled brackets that frame the front-end. As much as I love the horizontal roof and rear window, it was also great to see how Honda tried to make the concept’s rear-wheel fairing a cool pair of big intakes. Clever use of black plastic and sharpened edges make the car appear like its transforming–like that of a snake emerging out of its shedded skin. Coming with a power output of more than 100 kW and an increased power density of 60 percent over its predecessor, the car is claimed to achieve the range of 300-435 miles. Interestingly, the car is capable of power takeoff functions, which can be used to provide household electricity for up to a week. 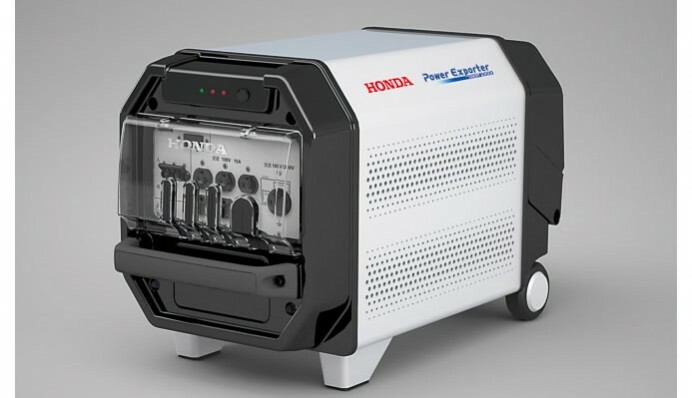 Honda also introduced a backup power unit – Honda Power Exporter – which when combined with the FCV can function as a small-sized mobile power plant that generates and provides electricity to the community in times of disaster or other events. 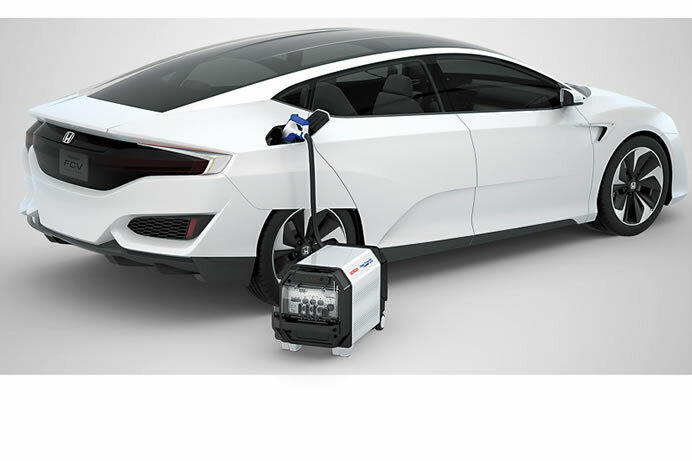 In addition to the FCV and external power-feeding device, Honda will further promote the application of the Smart Hydrogen Station (SHS) – a packaged hydrogen station unit that adopts Honda’s original high differential pressure electrolyzer. 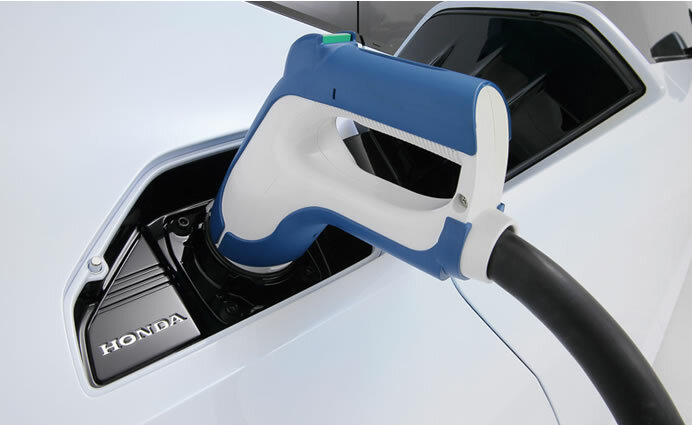 “In this way, Honda will work toward the forthcoming hydrogen society under three key concepts – “generate”, “use” and “get connected”,” said Honda Spokesman. There is no news yet on the price of the car or what its top speed will be, but Honda confirmed that the car would hit the U.S. and Europe soon after its launch in Japan in 2016. While Toyota calls its first Hydrogen Vehicle as Mirai (“Future” in Japanese), I’m curious which name Honda will use to call its FCV.